MGO™ 100+ Manuka Honey Blend is derived from Leptospermum Scoparium, a plant unique to New Zealand; its flowers are powerfully fragrant and full of nectar, which attributes Manuka Honey with its rich, dark and full-bodied flavour. MGO™ 100+ Manuka Honey is certified to contain a minimum of 100mg/kg methylgyoxal. Methylgyoxal is a naturally occurring compound in Manuka Honey that lends the substance its remarkable and unique properties. No other system of measurement gives such a clear and simple indication; the higher the MGO™ rating, the higher the Methylglyoxal content. 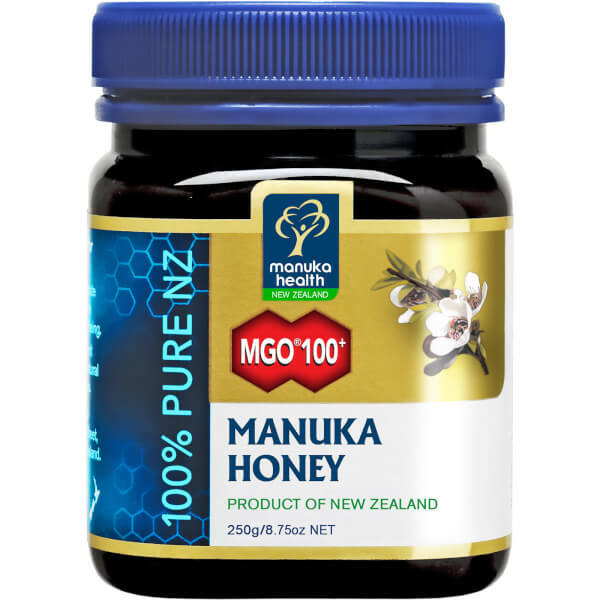 100% New Zealand MGO™ 100+ Manuka Honey.